Raith strolled into the second round of this season’s League Cup with a comfortable 3-0 win over Albion Rovers at Starks Park this afternoon. 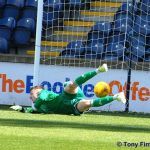 A first-half penalty from Lewis Vaughan and first-ever Raith goals for Kyle Benedictus and Rory McKeown saw off the League One challengers in a second half bathed in Kirkcaldy sunshine. 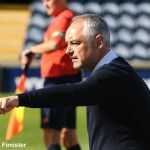 This first competitive home match of the season offered new Raith boss Ray McKinnon the chance to be flexible with his first-team selection. 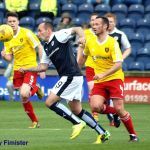 Given Raith went into the match as favourites, a more attacking line-up and game-plan was on the cards. 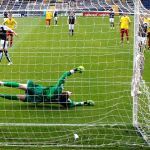 Last week’s Petrofac Training Cup results – Raith winning at Cowdenbeath and Albion being comprehensively outplayed by Ayr United – also gave fans the hope of seeing Raith adopt an adventurous outlook. 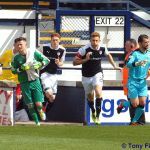 With modern football seeing a far greater proportion of year-long contracts and short-term loan deals, it perhaps shouldn’t be surprising that Raith’s starting line-up contained only five who started last season’s League finale at Dumbarton – Benedictus and Bates started at centre-half, with a midfield of Callachan, Petrie, Wighton, and the diminutive McCord sitting behind a familiar front-two of Stewart and Vaughan. 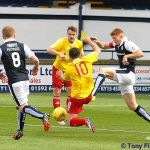 Albion Rovers, themselves having lost a good number of regulars during the close season, started with points to prove. 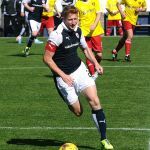 Having lost last season’s two top scorers in McGuigan and Chaplain, former Dunfermline striker Andy Barrowman provided the focal point upfront – his previous club not ignored by the home support. 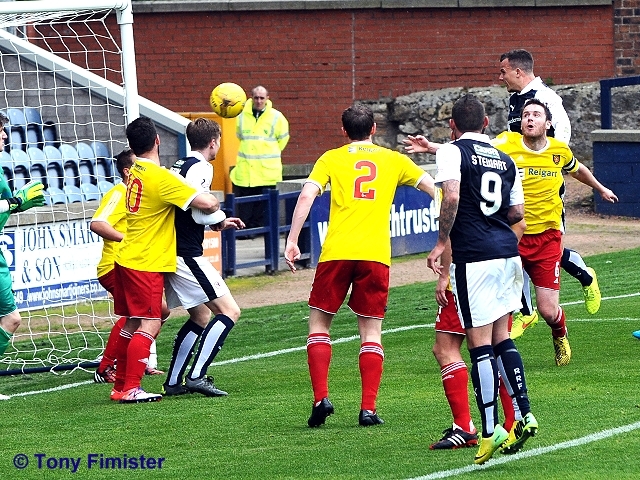 Resplendent in bright yellow and red, last week’s scorer Ally Love started wide on the left of midfield. Although Love provided pace and verve out wide, too often Albion would be one-dimensional in attack, with Barrowman feeding from scraps, and having to jostle jointly with Benedictus and Bates. While deserved winners of last season’s League Two, shorn of their two goal threats last season Albion were second best this afternoon. The opening exchanges were surprisingly testy – within moments of the start, Benedictus had Love by the scruff of the jersey following a late swipe by the visitor, Thomson was spoken to for a clumsy late challenge on half-way, and Albion’s Fisher responded in kind felling Thomson with a hefty tackle. Referee Walsh kept his cards in his pocket, opting to lecture rather than punish. 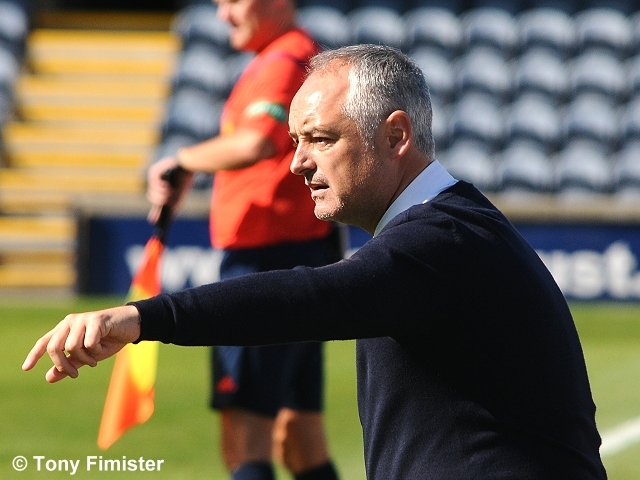 Ray McKinnon’s impact could be seen early on. 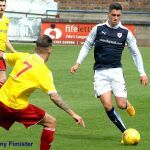 McCord and Callachan looked to pass first-time on all occasions – gaining possession deep in McKeown’s corner, the Raith full-back linked with both to work the ball from a tight squeeze cross-field to Wighton in space. The home crowd cheered its approval. Benedictus looked strong in the opening stages. 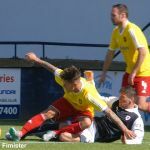 Partnering Bates following Lewis Toshney’s injury at Cowdenbeath last week, Benedictus showed a clean pair of heels to Barrowman when chasing through-balls, distributed the ball well, and took no nonsense under physical pressure. 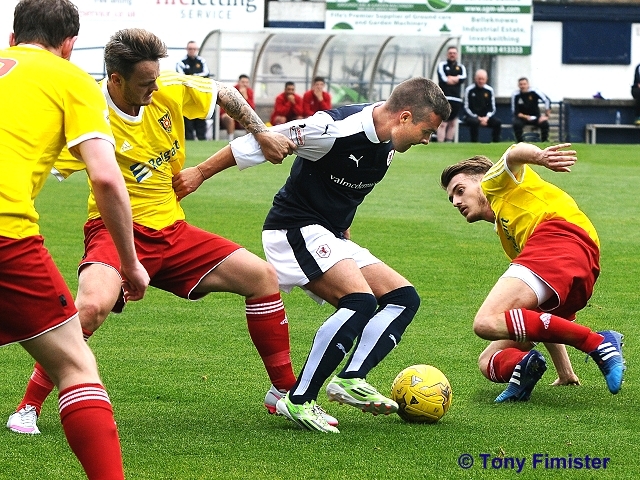 Raith look to have a powerful foundation upon which to build this season’s campaign. Young recruit Crag Wighton was perhaps the day’s surprise selection. The nippy front-man had already shown willingness to drive at Albion’s central defenders on two occasions before, from a left-wing berth, Callachan slipped into the box behind his man. The retreating full-back Reid went to ground, made contact with Callachan, and referee Walsh pointed to the spot. Although Reid took some of the ball, the tackle from behind gave the referee enough to award a penalty, brandishing a yellow card in the process. 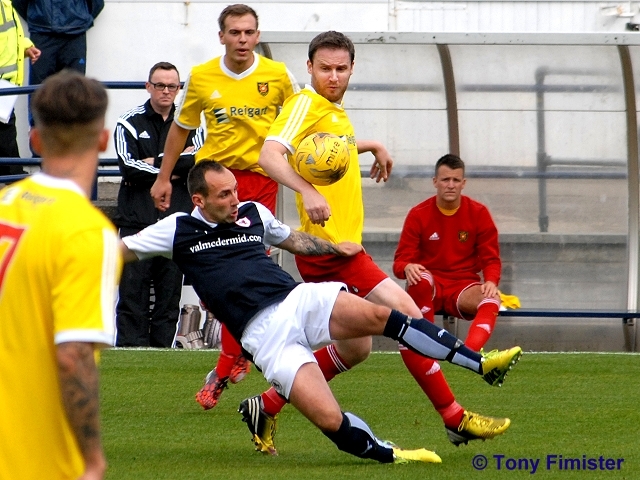 Vaughan swept home to put Raith in front on fifteen minutes. A period of dominance followed. Petrie chipped through the middle, Stewart being denied by a late Dunlop clearing header; Wighton swapped passes with Thomson and sneaked inside the Albion box, only to be crowded out by a reception committee of yellow-clad defenders; and Vaughan twisted and turned on the 18-yard line, failing narrowly to play in a colleague. Unfortunately for the live-wire Raith striker, he landed awkwardly following a Dunlop tackle, to be withdrawn as a precaution moments later. 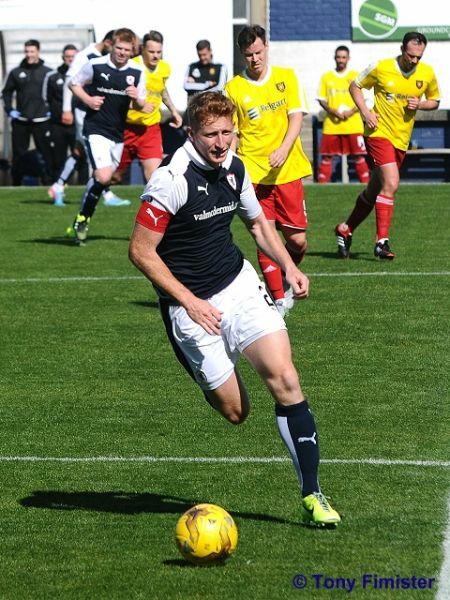 Grant Anderson replaced Vaughan, interchanging the second-striker role behind Mark Stewart with Wighton. 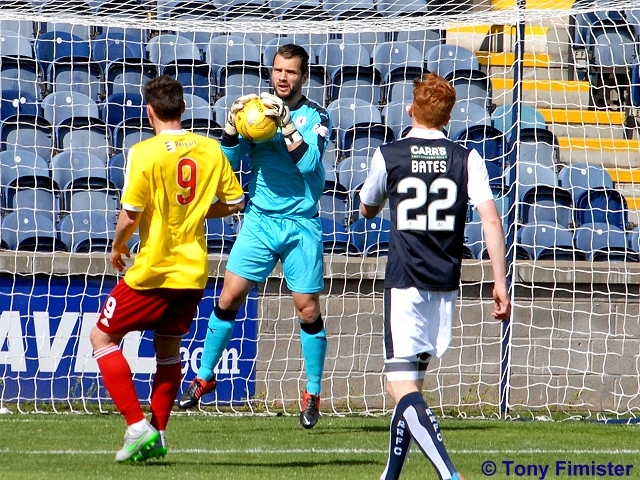 While Raith were down to ten men assessing Vaughan’s injury, Albion generated some momentum. Two corners were cleared only partially, Love and Barrowman both having half-chances. 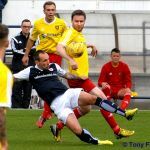 Thomson and Bates were caught too close together on half-way, allowing Love to escape down their flank, although the Raith captain recovered to block. Both sides lost a degree of composure in the spell leading to half-time – although bypassing their respective midfields led to some open running football. Stewart ran at the Albion defence only to be thwarted by player-manager Young before he could play in McCord, Love cut inside to feed Barrowman but the former East End Park striker caught the ball under his feet, for Wighton to race clear at the other end only to clatter straight into Michael Dunlop. On 37 minutes, a Petrie swinging cross was nodded goalwards by Albion defender Turnbull – his flick was spectacularly turned over by his own keeper. 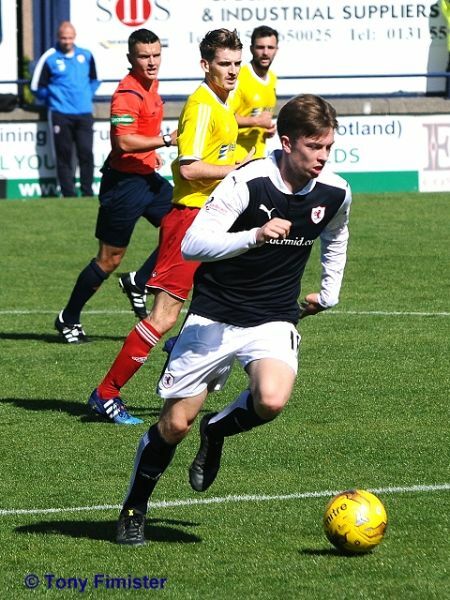 Raith’s second was delayed only by moments – McCord’s corner was met by Benedictus at full tilt, powerfully heading home for his first goal in Raith colours. 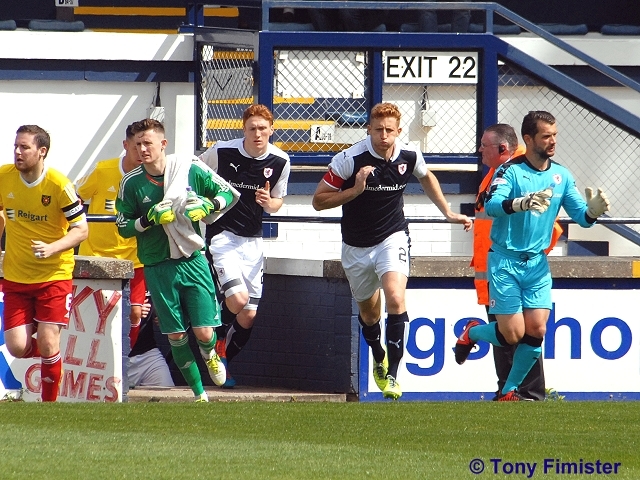 Leading to half-time, Raith looked to create a third. Thomson worked an opening to cross, only for Michael Dunlop to head clear; McCord’s rasping shot went fizzing wide; and with Stewart free in the inside-right channel, Callachan’s through-ball unsettled a young seagull loitering on half-way, bringing the attack to a premature conclusion. The youngster, who’s whereabouts caused consternation amongst a much larger flock of adult seagulls through-out the second-half, played no further part in proceedings. The home side, having taken a two-goal lead in at half-time, were slow to start the second period. Ross Davidson ran and shot wide, and Cuthbert was called upon to claim Turnbull’s cross after good wing-play free’d the Albion full-back. 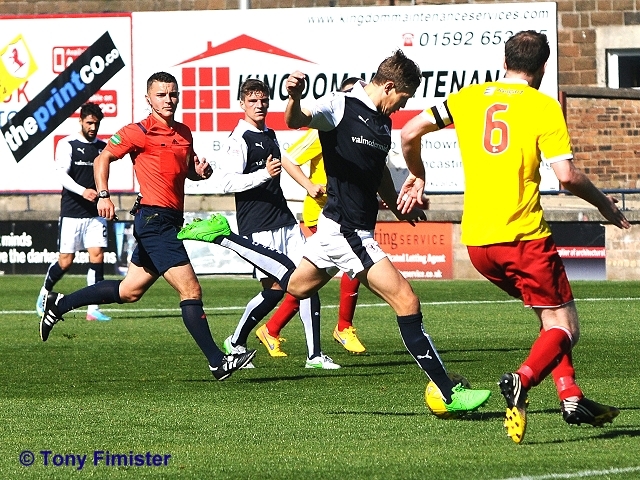 Raith’s third came after a defensive lapse in the Albion rear-guard. Davidson dribbled his way free of Stewart and Wighton deep in his own half, only to run straight to Callachan, leaving a gaping hole behind him. 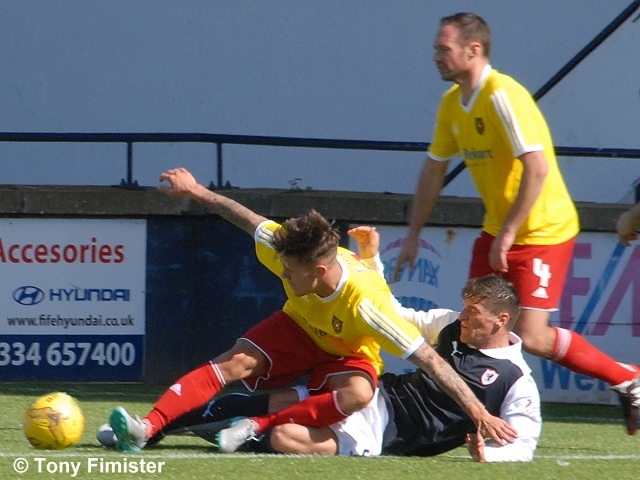 Although Stewart was tackled, Callachan’s strong shot was only just parried clear by Ross Stewart. McKeown met the rebound with precision and power to leave the visting keeper sprawling. Raith sensed a fourth. 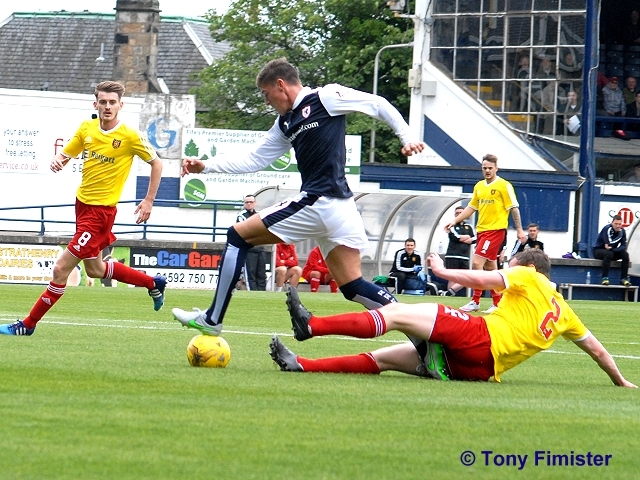 Stewart had a further effort blocked moments later, with Petrie’s cross falling just behind the Raith no.9 rushing toward the near post. 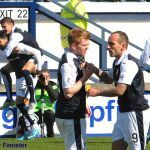 As the visiting fans chanted “Champion-ees” recalling last season’s League Two triumph, Petrie Callachan and McCord each pushed and probed around the visitor’s final third, looking to create an opening to stretch Raith’s advantage. 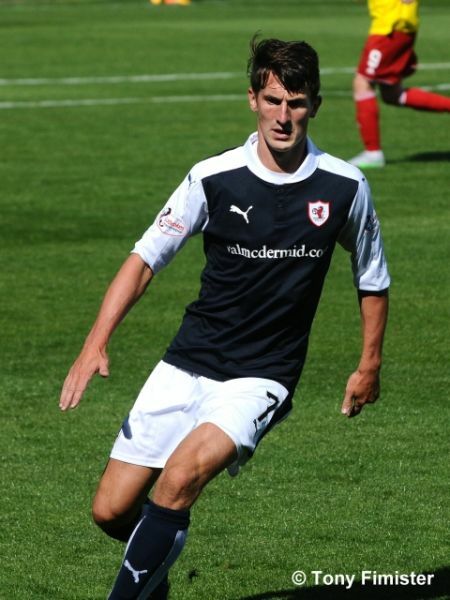 Visiting player-manager Young opted to freshen his side with an hour to go, withdrawing Barrowman and Davidson, replacing them with Callum McRobbie and Paul Willis – both slotting into advanced positions. While both looked neat and tidy, Albion’s problem in achieving and retaining good quality possession continued even with two upfront rather than the isolated Barrowman. Meggison and Craigen were introduced late on, as Stewart and McCord were removed after a good shift from both. McCord – a match reporter’s dream with his shock of bright ginger hair – patrolled the midfield efficiently and robustly when needed. Despite picking up an early booking, his tackles were clean and crisp, linking well with players wide and ahead of him. He departed the scene to a well-merited round of applause. 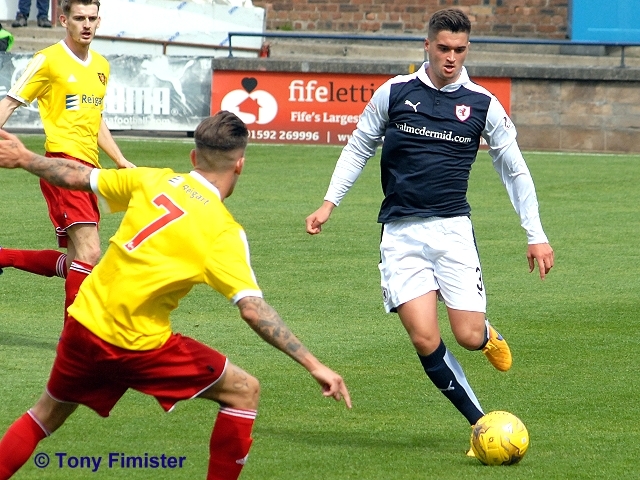 Raith could have extended their lead late on. Craigen drove twice at Stewart from distance, forcing good saves from the visiting keeper; and Benedictus burst from defence to feed Megginson, who’s cross-shot was blocked away. A late consolation was saved at the other end – a cross from former Rover Mark Ferry evaded Grant Anderson, allowing substitute McRobbie to square his shoulders to shoot; Cuthbert dashed from his line to clear the danger. 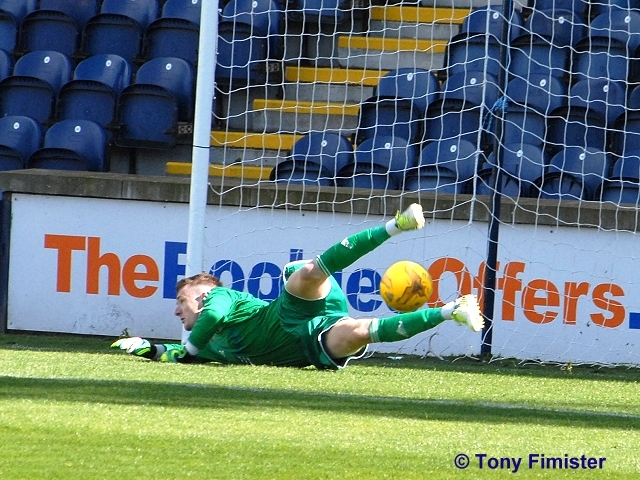 The Raith keeper showed impressive concentration to keep his clean sheet after a very quiet afternoon indeed. 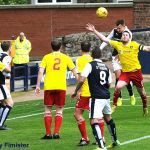 While Raith’s tempo dipped at times in both halves, Kirkcaldy’s Rovers were never truly troubled by their Coatbridge counterparts, and fully deserve their place in the next round. 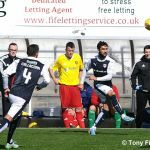 Manager McKinnon’s squad have a sense of momentum before the tougher assignment awaiting next week – the beginning of the League Championship campaign at home to Livingston. Welcome to Starks Park for the first competitive home match of season 15/16. 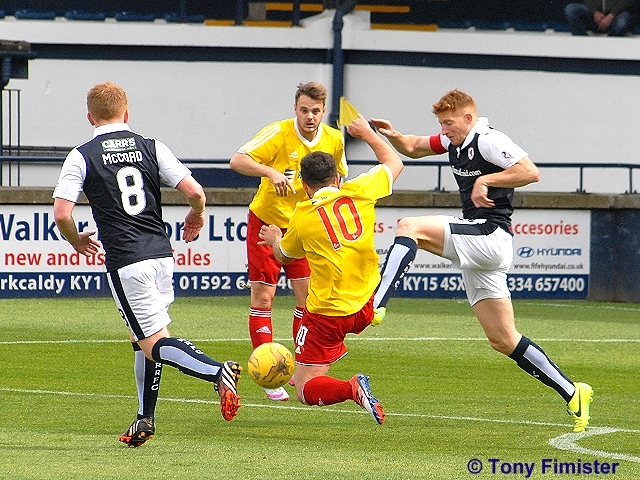 It's a battle of the rovers today, as Albion visit Starks Park for the first time since 2004. Mark Ferry makes the bench for today's vistors. The much experienced Andy Barrowman leads the attack for Albion, who is approximately 14 years the elder of Lewis Vaughan and Craig Wighton! Albion Kick off towards the south stand. 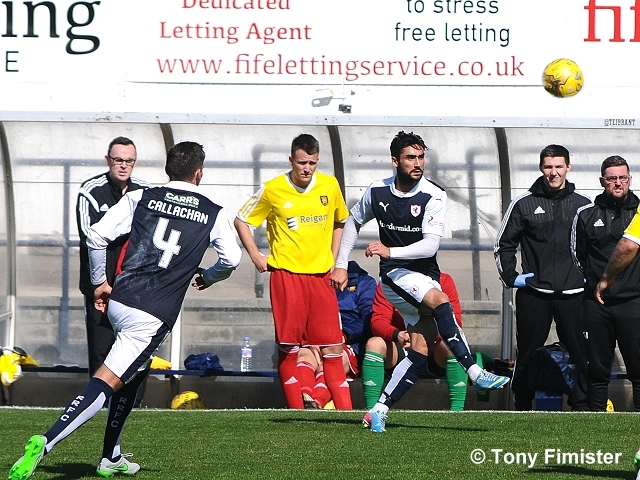 Raith keeping the ball well In the opening minute. Good interception by McKeown to cut out an Albion foray down the right win. A chance for love at the back post but his header goes harmlessly wide. A late challenge on Benedictus by Love results in a ticking of for the latter and angry outburst from the former! A late challenge by Fisher on Thomson just outside the box, no booking. 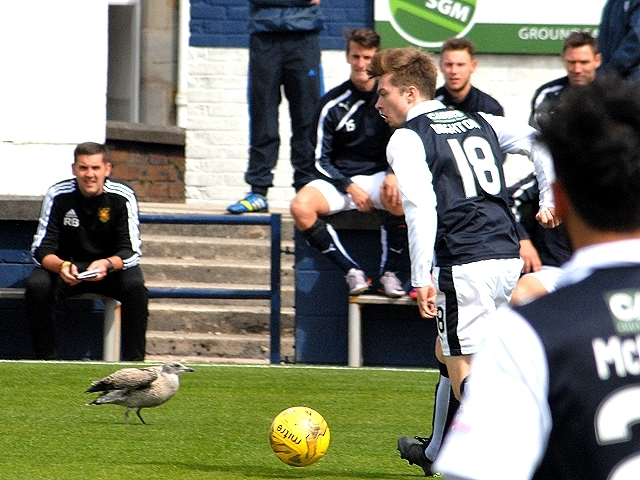 Another new addition not yet named on the web site.... A young seagull has taken refuge on the Starks park pitch! Good play by Vaughan sees him run via the centre circle and excite the Home support. Thomson and McKeown are pushed quite high up the pitch, with Callachan being the midfield player dropping back when required. Promising run by Wighton but his attempted pass to Stewart is intercepted. 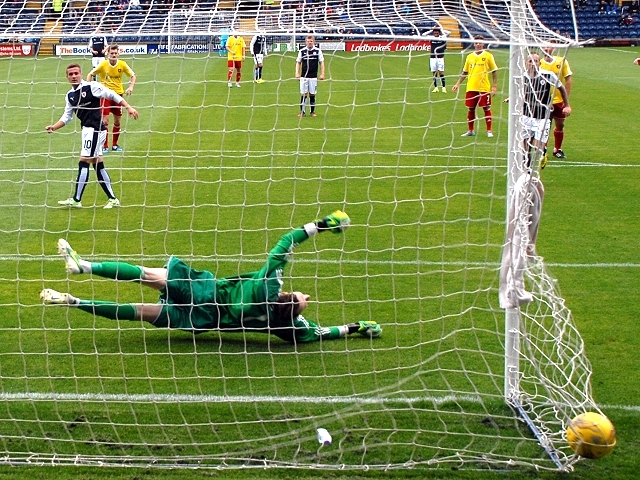 Free kick to Raith, between centre circle and box, Vaughan goes for the long range effort but his shot is blocked. Both teams are trying to get the ball down and play on the lush a playing surface, credit the ground team for a sterling job! Vaughan steps up and fires into the bottom left corner! Good play by Wighton, who plays a one two with Thomson in the Albion box. The visitors eventually clear their lines. 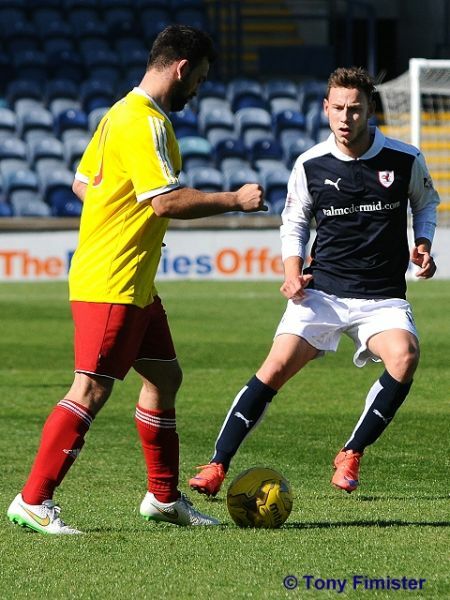 Raith playing some excellent free flowing football at the moment! The versatile Petrie is playing in the centre midfield berth today. Free kick Albion around 22 yards from goal. Fisher's free kick was well blocked by the wall, with ball bouncing around the box, an offside decision brings an end to Albion's attack. Albion coming a bit more into the game now. Late challenge on Vaughan. 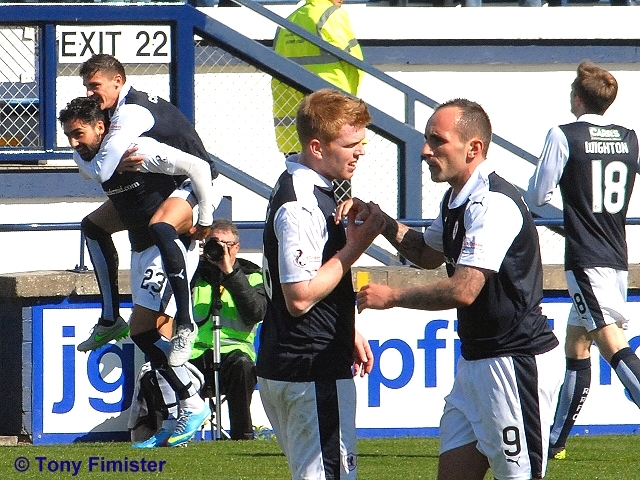 Raith's goal scorer gingerly returns to his feet. Love in the action again, advancing down the left wing, well intercepted by Bates. Another Albion corner, eventually cleared by McKeown. Unfortunately it's the end of the game for today's goal scorer, Vaughan. Let's hope it's not a serious injury. Grant Anderson replaces The injured Vaughan. Albion's player manger receives a telling off from the ref. petrie's free kick from just in front of the half way line is wind assisted and almost deceives Stewart in the Albion goal. Free kick to Albion on the left wing for what looked like a good challenge from Callachan. 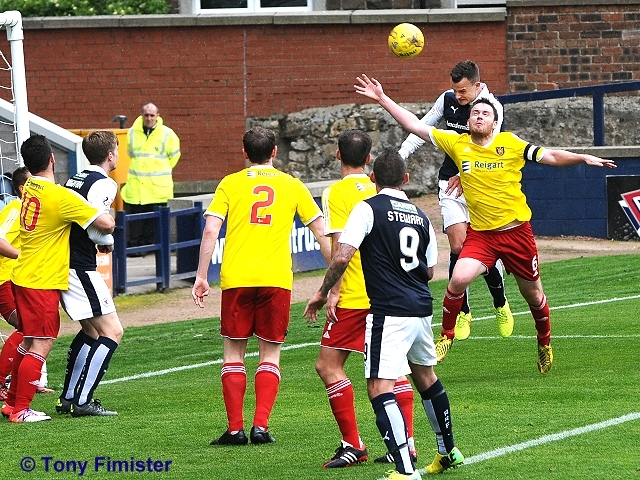 Ross Davidson sends the cross high and harmlessly out the park. Stewart with a run upfield but a good challenge denies him any further progress. Stewart again, waiting for the perfect moment to shoot, he eventually passes to Wighton who's effort is blocked for a throw in. A cross come shot by McCord is almost turned into the net by Albion's own player! 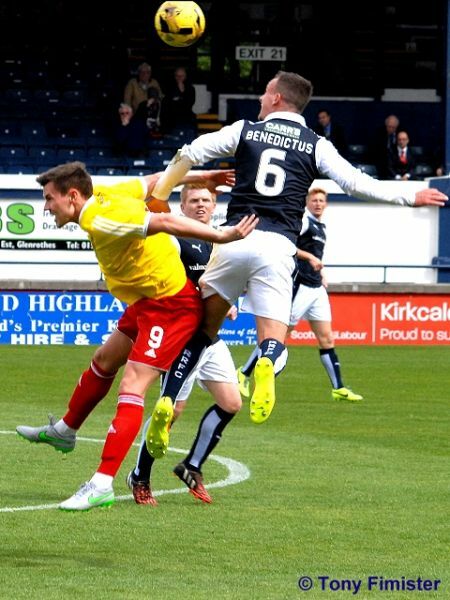 McCord's in-swinging corner powerfully headed in by Benedictus. 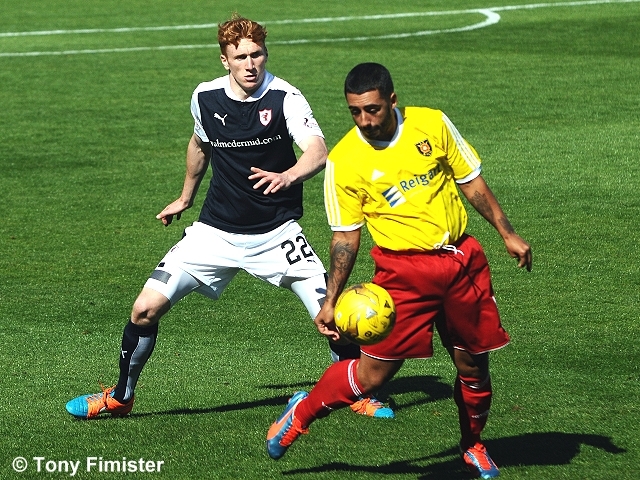 Raith playing very confidently again. A long range in-swinging effort by McCord goes well wide. Young David Bates is playing well so far against the far more experienced Andy Barrowman. A run and ball into the box by Reid of Albion sails well wide. 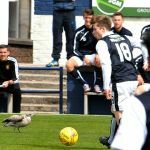 The young seagull wants in on the action, impeding Stewart as he advanced down the right wing! That's the pitch's wing, to clarify! GOAL RAITH! McKeown hammers in his first goal for the club! Just realised there's two Dunlops! Think it was Michael in both those recent comments!!! 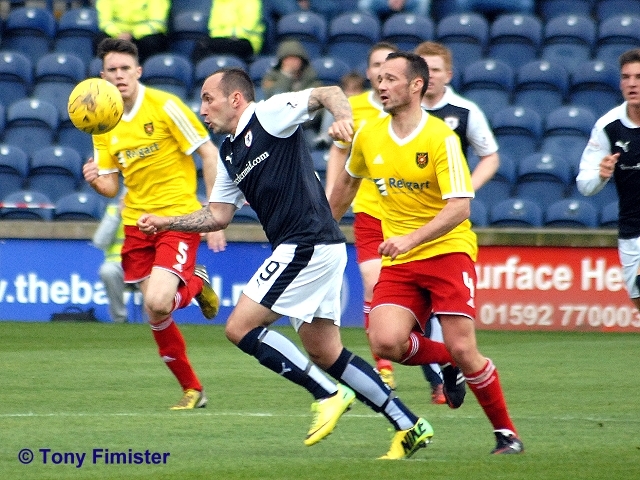 +2 another wave of Raith players press forward, Stewart saves under pressure. This time it's game over. Stark’s Park will host it’s first competitive game of the season this weekend, as Albion Rovers make the trip to Kirkcaldy for the first time in 11 years, in a League Cup first round tie. 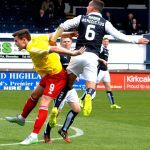 Albion Rovers player-manager, Darren Young has brought in half-a-dozen new faces to beef up a side which won last season’s League Two title. 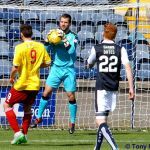 Goalkeeper, Ross Stewart has joined after leaving Motherwell, while the midfield has been bolstered by the arrival of two former ex-Raith players. 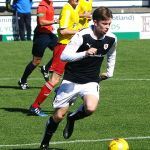 Scott McBride could start on the left-hand side after he was released by Arbroath in the summer, while central midfielder, Mark Ferry has also joined the Coatbridge side. On the right, Paul Willis could start after he left Colin Cameron’s Berwick Rangers side in the summer, while up-front, ex-Dunfermline Athletic striker, Andrew Barrowman could feature after he left East End Park, while ex-Partick striker, Yamikani Misanjo has also joined after leaving Rossvale juniors. Both sides had contrasting fortunes in last weekend’s opening round of the Petrofac Training Cup. 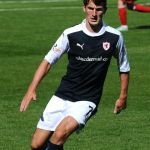 While Raith were seeing off Cowdenbeath by a goal to nil, thanks to a first-half strike from Lewis Vaughan, Albion Rovers were being eliminated by Ayr United at Somerset Park. 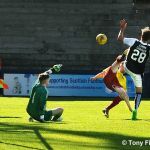 An Alan Trouten penalty gave the home side the lead late in the first-period, before Nicky Devlin and Ross Caldwell gave The Honest Men an unassailable lead in the second-half. 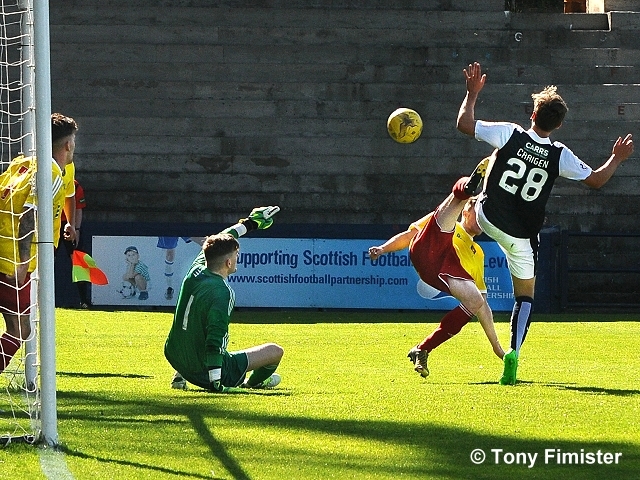 Ally Love’s injury-time riposte was scant consolation for Darren Young’s team. This will be just the fourth time that the two sides have played each other in cup competition, and Rovers have yet to register a win over the Coatbridge side over 90 or 120 minutes. 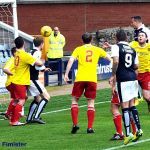 Their last meeting was at the same stage of this competition back in 2008, when after a 0-0 draw, Gareth Wardlaw scored the decisive penalty in a 4-3 shoot-out win for Raith, with David McGurn stopping two of Albion Rovers penalties. It was a different story in 2004 however, when a Mark Yardley inspired Albion Rovers team sent Claude Anelka’s outfit spiraling out of the Challenge Cup at Stark’s Park, after the away side won 2-0. 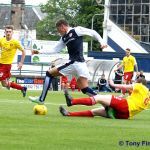 Despite that loss, Raith have an excellent head-to-head record against Albion Rovers, with 8 wins and a draw from their last ten meetings.